I thought I'd try my hand at a bokeh card, which seem to be pretty popular right now. I used the Lots of Dots set from Simon Says Stamp, it's perfect for this technique. The sentiment panel was stamped in yellows, oranges and reds while the background was stamped with different shades of yellow. Because the background is done from one colour family it produces a very soft and fuzzy look with not much of a distinction between the dots while on the sentiment panel the dot shapes are more pronounced. Here are a few tricks that I figured out along the way. Starting with coloured card stock helps with the layering and blending of dots. Make sure to layer different coloured dots on top of one another. This works really well with the Hero Arts Shadow Inks or die inks. You can use pigment inks though they are more opaque and can block out colours underneath it. I like to start off with the largest circle, stamp it 3-4 times with one colour, then move on to the next colour. Once I've used all the colours, I switch to the second largest dot and stamp in all the different colours and repeat for all the dots sizes. 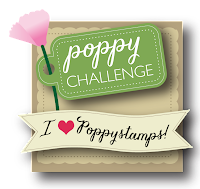 When I'm done with all my stamping I like to soften it and make it a little more fuzzy by taking Memories White Dye Ink and stamping a few of the larger dots randomly over the piece. This is definitely a fun and addicting technique, I hope you'll give it a try! 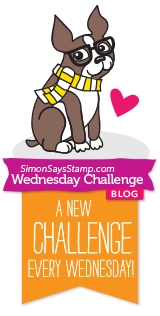 I'm entering this card for the Anything Goes Challenge at Simon Says Stamp. Wishing a Happy Canada Day to all my fellow Canadians! Beautiful Bokeh effect, Sue! I love the dense colors! Happy Canada Day to you, too! I love this, Sue! 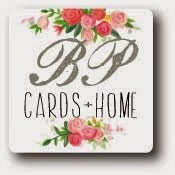 Beautiful results, and those little flower sequins are adorable and just right on your card! Oh, Sue, this is gorgeous! I love how the gold sentiment looks with those pretty colors! 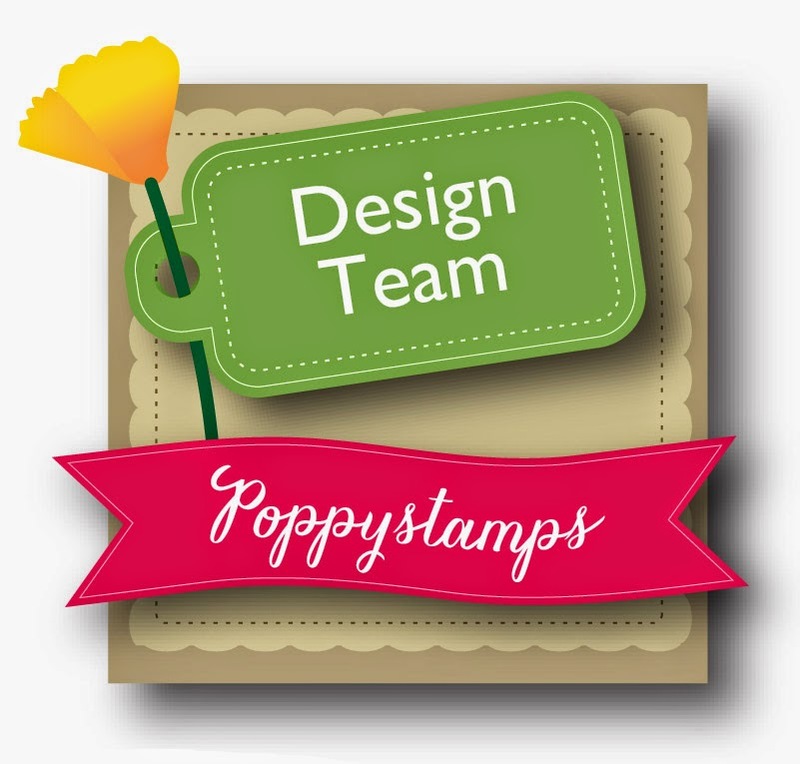 A stunning card Sue, a lovely design and gorgeous colour scheme - your stamping is sensational and brilliant detailing!!! Gorgeous stamping! 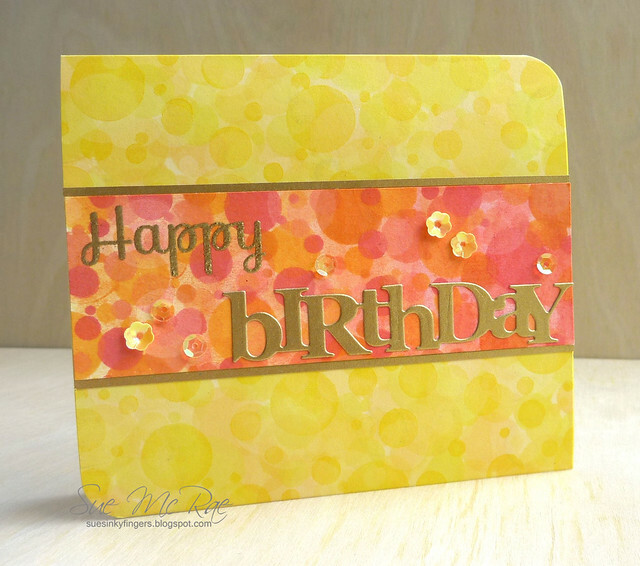 Loving these beautiful colors and the gold sentiments. The little flower sequins are perfect! What a pretty background color Sue really make a great design.